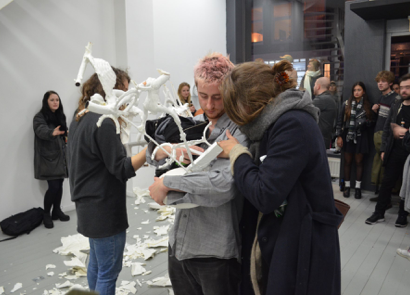 ECTOPLASM was a one-off, nocturnal event curated by Pádraic E. Moore. 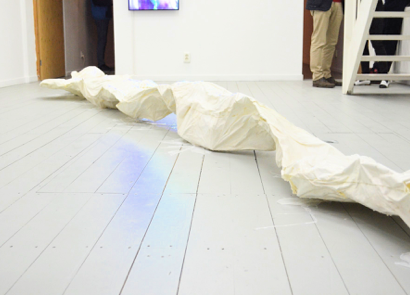 The artworks presented in ECTOPLASM were distinguished by their volatility, liquidity, malleability and temporality. 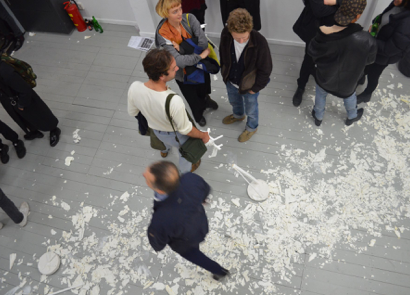 These physical works were activated, destroyed, conversed with and worn as clothing over the duration of the happening. 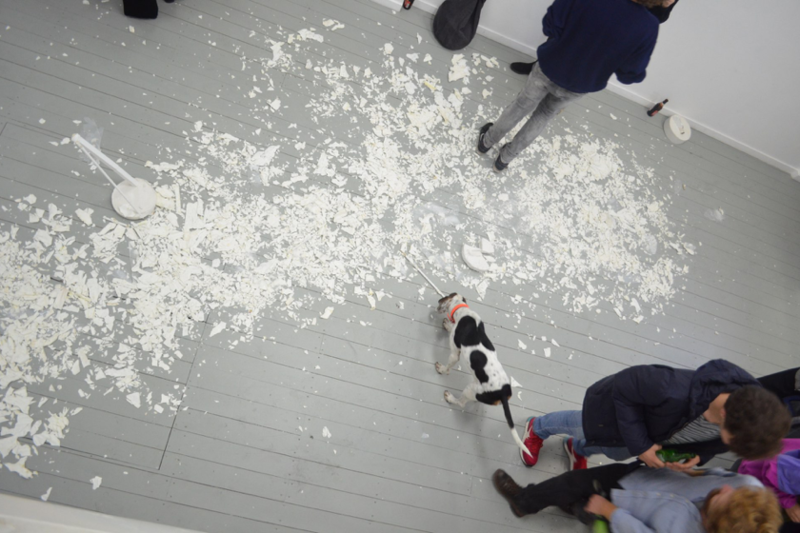 While diverse in character, collectively they resisted a finished or static state in favour of an explosive materialisation of energy – something that was set in motion by the artists but existed beyond them. 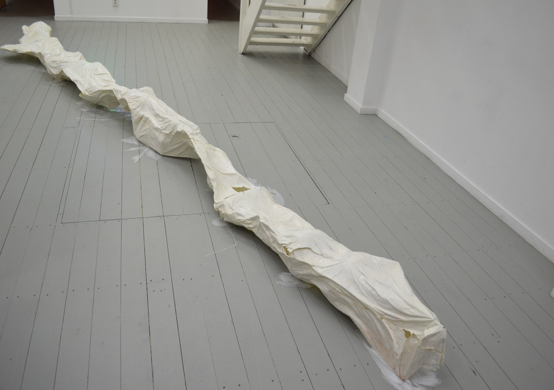 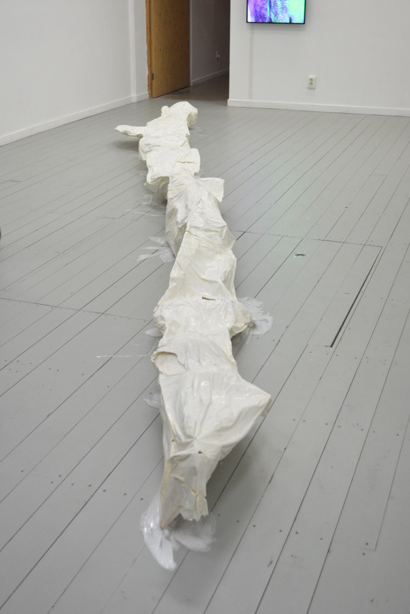 Made from plaster, metal, wood and various resins, Bert Jacobs’s nine-metre-long sculpture Many and One (2016) closely resembled an ectoplasmic protrusion which obstructed movement within the exhibition space. 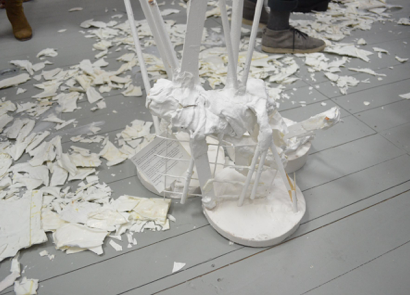 Half way through the event, audience members were requested to smash this structure, a process which revealed seven smaller sculptures that they were invited to take with them.